LifeWay Voices is owned and operated by LifeWay Christian Resources. A number of LifeWay employees collect, edit, and post content to the site. You can meet the team on our about page. Who writes for LifeWay Voices? Writers for LifeWay Voices are almost always going to be people who have written books or Bible studies for LifeWay, spoken at LifeWay events, work for LifeWay, or are otherwise affiliated with LifeWay in some official capacity. What are the theological underpinnings of LifeWay Voices? In addition to the careful selection of our authors and content contributors, all content published on LifeWay Voices adheres to The 2000 Baptist Faith and Message. Is LifeWay Voices taking reader submissions for the site? At this time, we are not taking open submissions to write for LifeWay Voices. If this ever changes, we will be sure to let our readers know so that you can submit your work! Can I receive LifeWay Voices content in my email inbox? Yes, you can sign up here to receive an email whenever we post new content on the site. How can I contact the people who run LifeWay Voices? You can reach out to the LifeWay Voices Twitter account @LifeWay or email us here. Who is LifeWay Voices for? LifeWay Voices is for anyone looking for trustworthy, biblical perspectives on current events and cultural issues. We intentionally post a wide variety of content to help a wide variety of Christians. Whether you are a pastor or church leader trying to navigate a difficult issue, a parent trying to catch up on current events during soccer practice, a soldier looking for encouragement during deployment, or a student trying to share a biblical worldview with your friends, you will find beneficial insights and encouragement on LifeWay Voices. How often does LifeWay Voices post new content? You can expect new content from LifeWay Voices five days a week. Because part of our mission is to provide biblical perspective on pressing events, additional content may be posted as important matters arise. 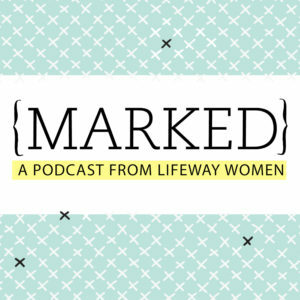 What’s different about perspectives shared on LifeWay Voices? There are many websites that strive to present a biblical worldview, however most fall into at least one of the following categories: they aggregate content from various sources all over the Internet; they publish authors and contributors who do not always theologically align with each other; they are accountable for driving web traffic for the purpose of advertising revenue. While these things are not necessarily problematic for every site, LifeWay Voices is devoted to providing original content, written by contributors who all adhere to the LifeWay’s theological standards, and published with indifference to the demands of advertisers. All these things combine to ensure that LifeWay Voices stands as a trustworthy home for biblical perspective on the Internet. Can I share LifeWay Voices content on my social media channels? Yes, we encourage you share links to our posts via sites like Facebook and Twitter, and you’re welcome to quote portions (up to two paragraphs) of our content on these and similar platforms, such as Instagram, as well as your personal blog. We just ask that you attribute the quote to its author and link back to the original post as the medium allows. Have a question for LifeWay Voices?